There's a lot of boring talk about diplomacy and tactics and yadda yadda yadda when it comes to Classical history. Sometimes it's fun to learn about all that stuff, but it can be equally fun to pretend that life thousands of years ago was exactly like it's portrayed in Hollywood blockbusters: big, bold, and beefy. 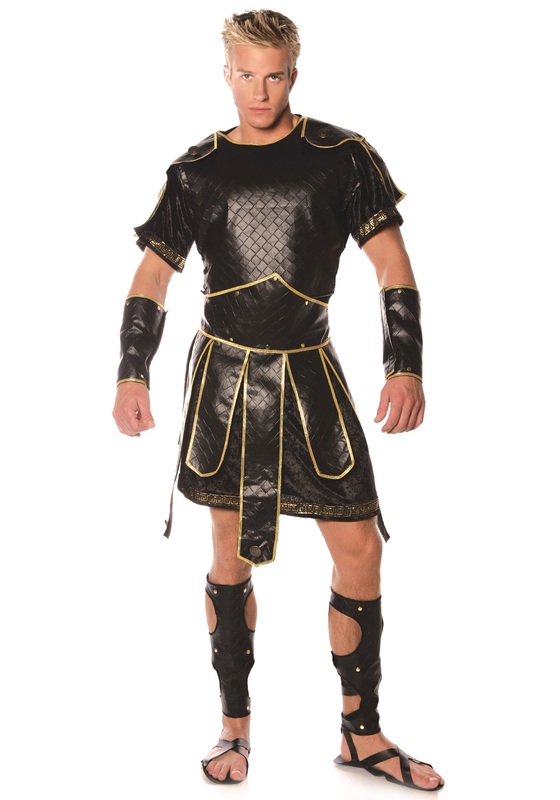 That's where this Men's Spartan Costume comes in! Because you don't need to know the whole sordid tale of the rivalry between the Spartans and Athenians to wear this high-quality suit that looks just like super-tough armor. And the eggheads and abacus-pushers are never going to win glory in battle by quibbling over who saved who at the battles of Marathon and Thermopylae. No sir! Leave all the drama to Aeschylus: All you need to prevail is a spear, a shield, and the knowledge that the man to either side of you was raised from birth to fight alongside his brothers to defeat the enemies of your proud city-state. After you and the rest of the real soldiers are finished, the Arcadian rabble can finish off the remnants of the Persian Army—that is, if there's anything left! Because you may be outmanned, but you'll never be outfought. And no matter what the odds may be, we're never going to bet against some of the most fearsome and tenacious warriors the world has ever seen. Especially when you're all decked out in this detailed black faux leather armor!